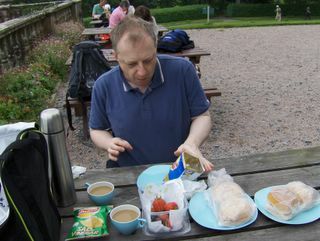 Picnic at Torosay Castle. What to munch? What to munch? We offered the birds some cherries, but they preferred crisps!